This project is an adaptive reuse of a quintessentially “humble” ranch home dating back to the postwar era. The design forms privacy zones that allow for multiple uses within the confines of a small footprint. 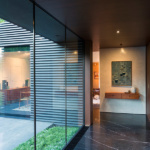 The house was expanded by a private courtyard, an indoor-outdoor dining space, and an art studio. 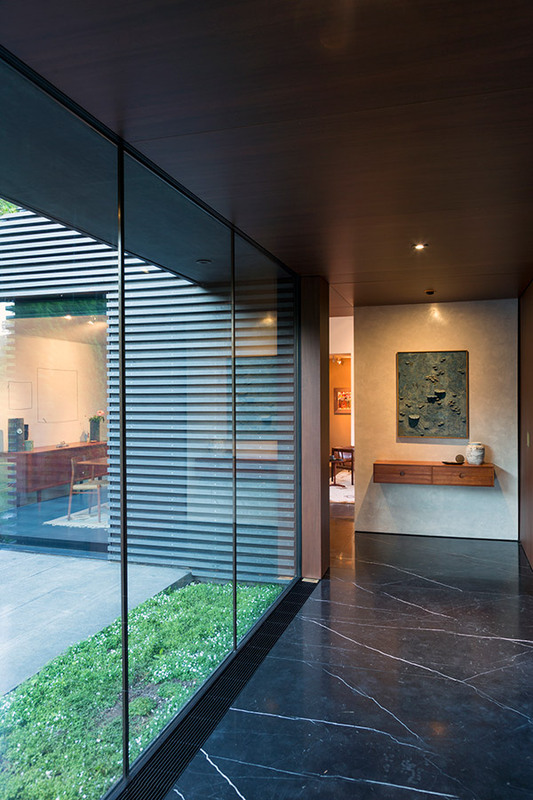 All these spaces are simultaneously linked and hemmed in by a glazed vestibule that also serves as the entrance. 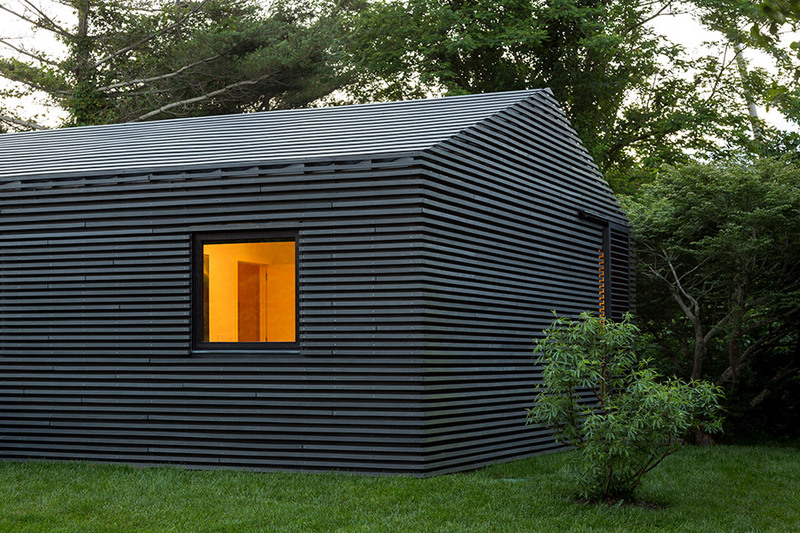 Inspired by a piece of furniture designed by Ineke Hans for the Danish design group Moooi, the architects developed an exterior skin of black rubber and recycled plastic (80 percent post-consumer). The rubber serves to seal the existing structure from the elements and the recycled plastic screen forms a protective barrier for the rubber skin while also doubling as a sunshade to mitigate heat gain on the black surface. Next to an interstate highway, this three-story, 1920s commercial building occupies a narrow lot in Miami’s Design District. 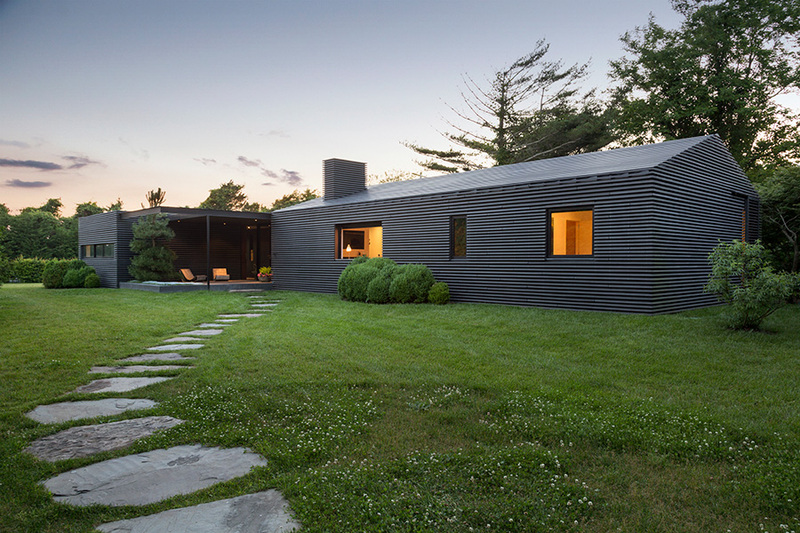 Shulman + Associates’ design for the renovation incorporates the existing building, expanding it with a 90-foot addition. 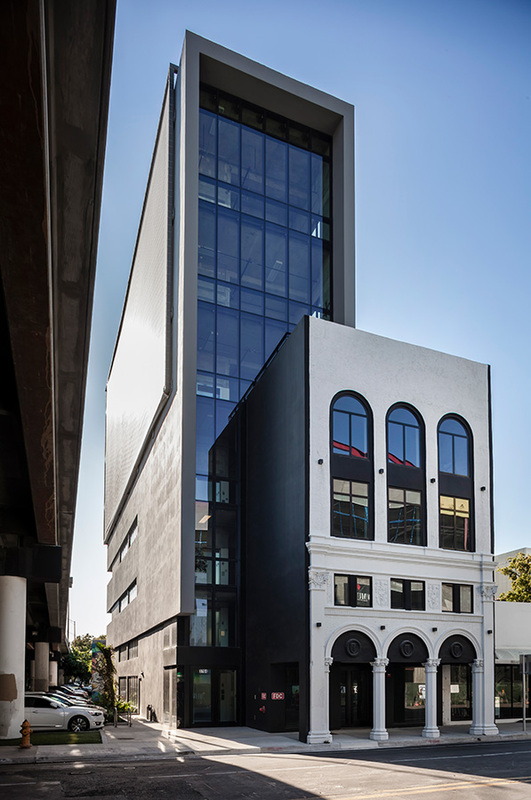 The west facade functions as a commercial billboard space, while another facade is designed for art installations. 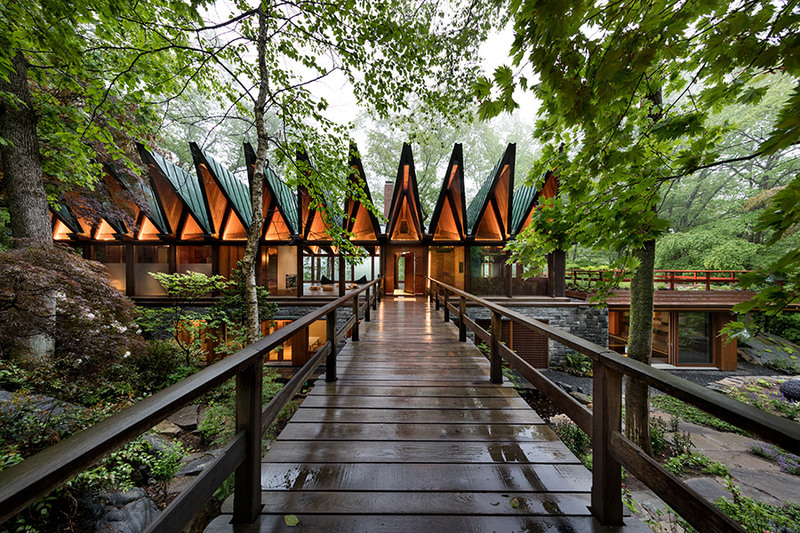 The Beckoning Path converts a hillside home into a wellness center and retreat. The 1961 house featured a timber-framed roof perched within the tree canopy. The renovation completely opens the glass pavilion of the upper level, reinforces the monolithic plinth of the lower level, and inserts a hovering green roof and indoor pool.